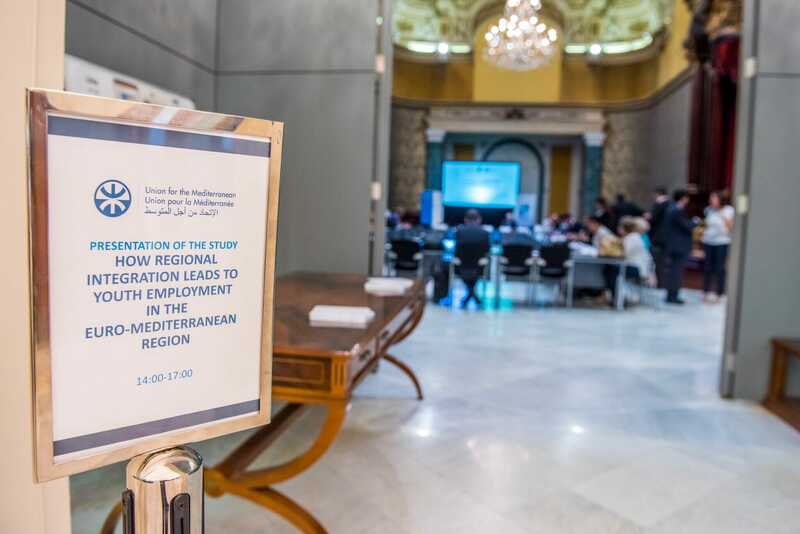 The study, co-led by IEMed- EMEA and with the collaboration of the EMNES network, examines how regional integration can provide both short-term and long-term solutions to the employment crisis in the Euro-Mediterranean region. The Conference was addressed by Fathallah Sijilmassi, Secretary General, Union for the Mediterranean, who underlined the importance of the presented study, as well as Senén Florensa, Executive President, European Institute of the Mediterranean; Jaloul Ayad, Former Minister of Finance, Tunisia and President of Med-Confederation and Jordi Curell, Director, Labour Mobility, DG Employment, European Commission. The study was presented by Rym Ayadi, Professor, HEC Montreal, President and Founder of EMEA and Coordinator of EMNES; Raül Ramos, Expert on employment policies, University of Barcelona; Leonidas Paroussos, E3 -Modelling and EMEA and Carlo Sessa, ISINOVA and EMEA. The study is available for download at the websites of EMEA, IEMed and EMNES. Furthermore, a press release has been issued presenting the main findings.